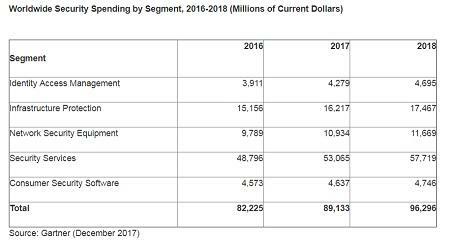 Network security equipment spending is expected to increase 6.7% in 2018, compared with the previous year, while consumer security software is expected to tick up a mere 2.4% in the same time period. "Overall, a large portion of security spending is driven by an organization's reaction toward security breaches as more high profile cyberattacks and data breaches affect organizations worldwide," Contu said. "Cyberattacks such as WannaCry and NotPetya, and most recently the Equifax breach, have a direct effect on security spend, because these types of attacks last up to three years." Despite the projected 8% increase in IT security spending in 2018, High-Tech Bridge CEO Ilia Kolochenko does not believe it is enough. "In light of the ubiquitous penetration of all types of technology into our everyday life, skyrocketing attacks against SCADA, and emerging IoT botnets, the growth of worldwide security spending seems to be very slow and inadequate to cover at least the most important risks," says Kolochenko in a statement. By 2020, Gartner forecasts more than 60% of organizations will have multiple data security tools, such as, data loss prevention, encryption, and data-centric audit and protection tools. 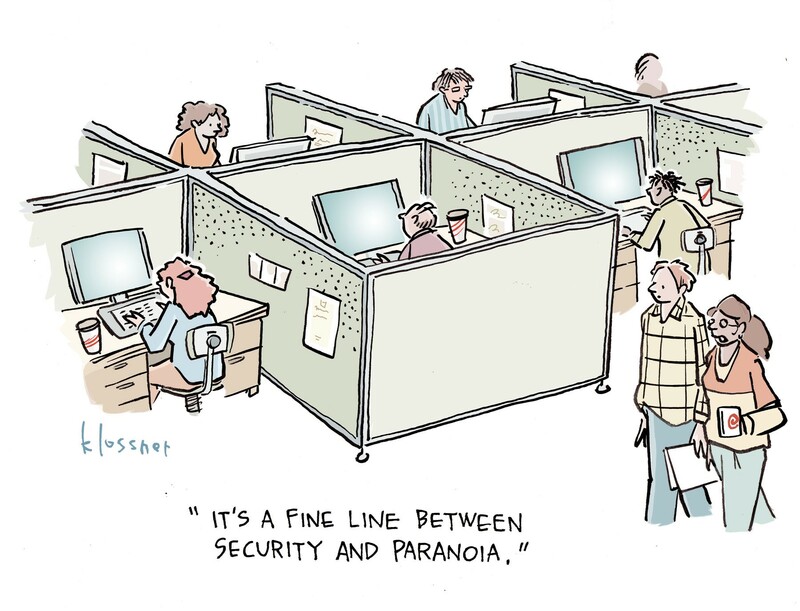 That will be nearly double the 35% penetration rate for multiple data security tools today, the report notes. Enterprises, meanwhile, are projected to shift their budgets toward detection and response solutions, which will drive IT security spending even further over the next five years, Gartner reports. "This increased focus on detection and response to security incidents has enabled technologies such as endpoint detection and response, and user entity and behavior analytics to disrupt traditional markets such as endpoint protection platforms and SIEM," Contu says.